Alison is Senior Research Officer in the Caring at End of Life Team in the School of Sociology at Western Sydney University investigating social solutions to end-of-life care. She is also Adjunct Fellow at La Trobe University and the University of New England, working on projects related to older age sexuality in clinical and aged care settings. 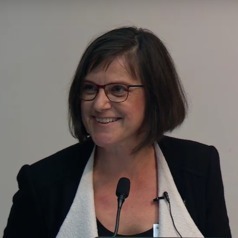 Alison won the Chancellor's Doctoral Research Medal in 2018 for her PhD thesis, "Behind closed doors: Exploring ways to support partnered baby boomers’ coupledom in residential aged care settings". Also in 2018, she was recipient of the Australian Association of Gerontology's Strategic Research Grant for her project "Permission to speak: Giving older adults a voice in teaching health and aged care providers how to communicate about intimate matters".